The Standing Stone: Clonaslee, Cross Slabs, Co. Laois. 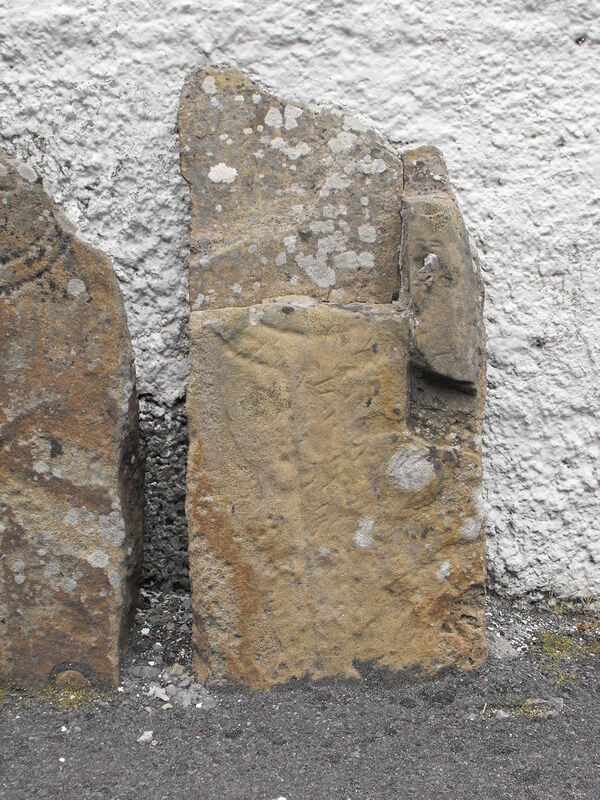 Clonaslee, Cross Slabs, Co. Laois. 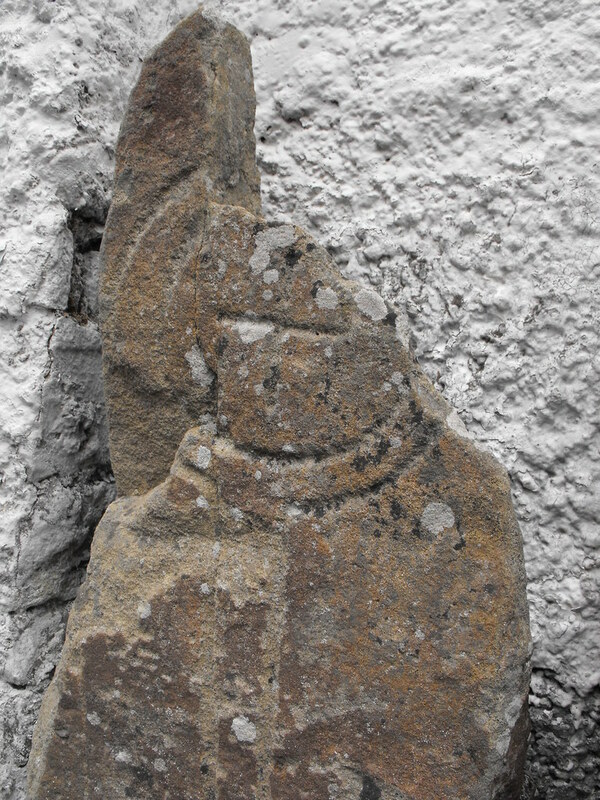 Location – In Clonaslee, N of the Slieve Bloom Mountains on the R422 in the grounds of the RC church. 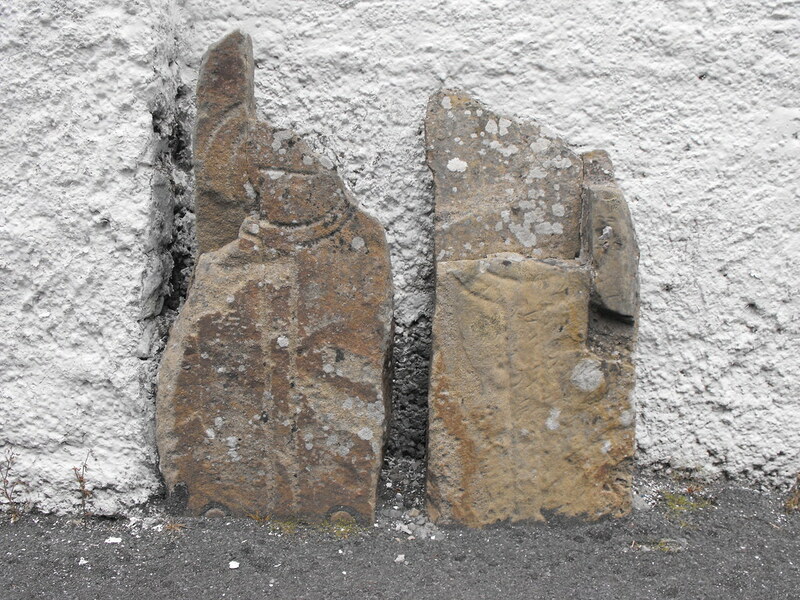 Description and History – These two cross slabs are somewhat disappointing. I have no doubt that they were once spectacular and a clear rival to those cross slabs at Clonenagh, also in Laois. However, they are severely damaged. The damage does not obscure them completely but their poor location does. 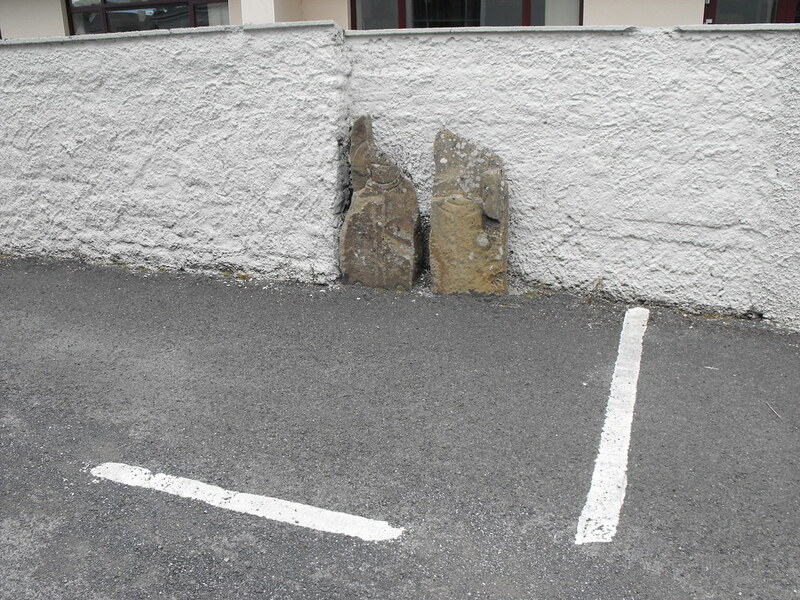 They have been located against a white washed wall outside a modern church and are set in concrete and tarmac and form part of a parking space. I do not know how much damage is being done to these slabs with car doors slamming into them every day of the week. 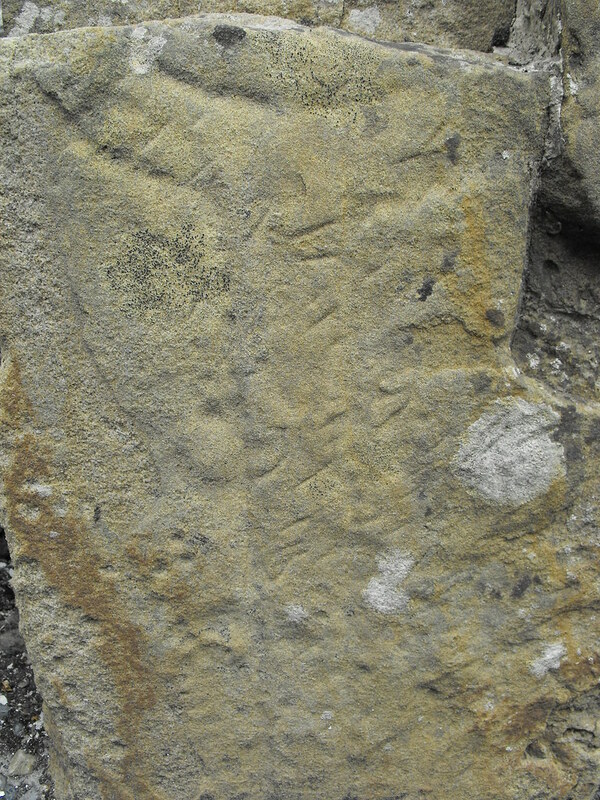 They are rectangular in shape and are sandstone with simple cross inscribed designs. There was a third slab but this has now been lost. 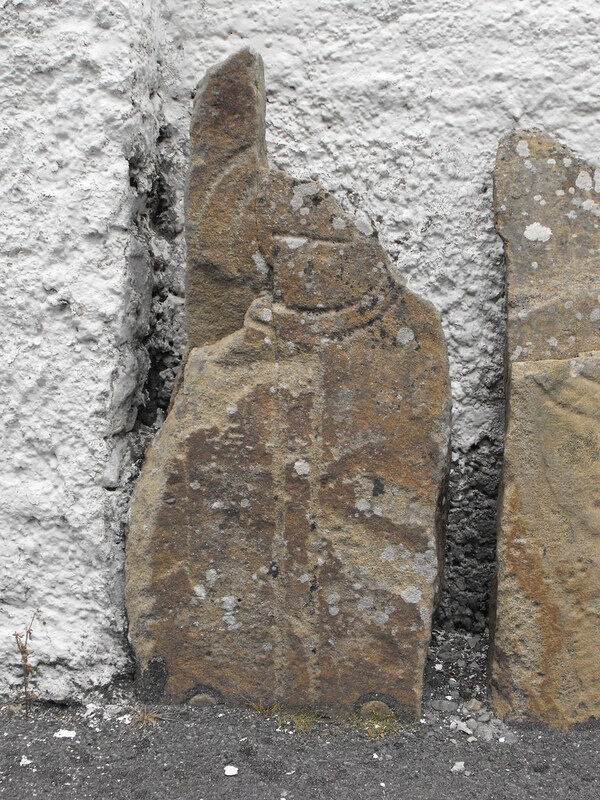 If you have an interest in cross slabs go and see these before it is too late. Difficulty – There are a couple of churches in Clonaslee so it took me a while to locate them. Plenty of parking.